207017 & 207203 approach Hurst Green Junction with the 16:30 Uckfield to Oxted Network SouthEast service on 25 May 1997, during the Uckfield Line Gala, which saw extensive use of several classes of 'thumper' DEMUs. A convenient footbridge spans the junction where the line from Uckfield joins the East Grinstead line. 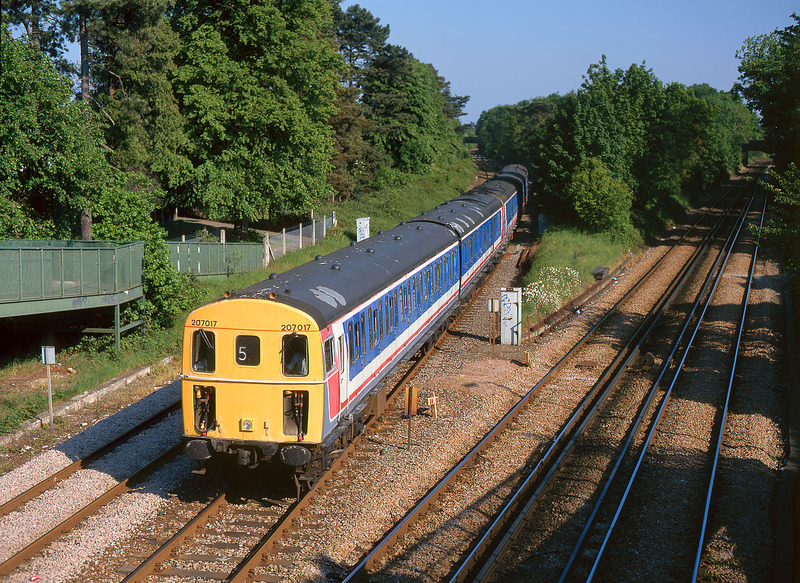 Both these lines were once part of through routes but are now branch lines, although still retaining double track, entirely on the East Grinstead line and in part on the Uckfield route.